I’ve grown weary of artificial tasting, mass produced toothpastes. Earlier this week I stopped into my favorite local pharmacy and asked about an all natural product. My only prior experience with such a product was Tom’s of Maine. This was years ago and tbh I don’t remember why I never bought it again. The shop had many, many all natural toothpastes on the shelf. The owner said he was partial to Dr. Bronner’s. They had peppermint, cinnamon and anise (?). I bought a tube of the peppermint and am quite pleased with it. 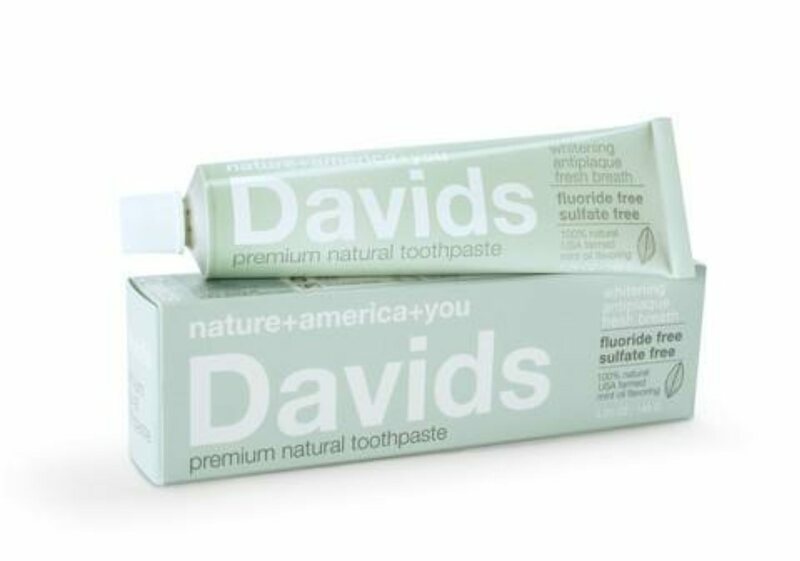 It’s all natural and does not have fluoride. Not much of a big deal as our water is fluoridated. The major difference in functional use is the lack of foam. I can deal with that. It tastes really good to me, and it’s just something new and different. I will definitely buy it again. Next time I’ll try the cinnamon. What are some all natural toothpastes you folks have tried? Edit: I bought another tube of the peppermint, and a tube of the cinnamon. It reminds me of the Dentyne chewing gum I grew up with. They’ve made me a very happy toothbrusher! Marvis is worth a try and you can get smaller tubes and they make ton of flavors. I also heard Theodent was very good but I haven't tried it personally. I really like Dr. Sheffields Natural Peppermint. CVS sells it by me. The best tooth paste I ever used. The wife really likes this one as well. I bought Marvis, but my wife told me I should not use it because it contains Sodium Lauryl Sulfate (SLS). I understand it is controversial. Many believe SLS is a carcinogen. My number one toothpaste is the Fennel flavor from Tom's of Maine (their Propolis & Myrrh line). I have been used Dr. Bronner's peppermint for years - great stuff! I use Weleda plant gel when I travel as a nice change of pace (also a smaller size). The Better Half swears to Kingfisher these days - comes in both fluoridated and un-fluoridated versions - which is vegan, gluten free and GM free. She's particularly partial to the fennel flavour of the fluoridated version. Before settling on Kingfisher she tried and rejected several natural toothpastes, including the Weleda. It's British though, so I'm not sure how easy it might be to source over the pond... but they do ship internationally if y'all're willing to pay shipping. Crest 3D White Brilliance Boost non fluoridated. (02-02-2018, 10:44 PM)Nero Wrote: My number one toothpaste is the Fennel flavor from Tom's of Maine (their Propolis & Myrrh line). The brand is good and they have a handful to choose from. The specific one above Propolis and Myrrh is good in my experience. Have tried Marvis - it's alright though, does not suds up as much as I would like. Might give the Dr Bronners a try based on all the recommendations here. (11-03-2018, 02:26 AM)gmtshave Wrote: Have tried Marvis - it's alright though, does not suds up as much as I would like. Might give the Dr Bronners a try based on all the recommendations here. I’m still using Bronner’s exclusively. It’s so damn refreshing! love this one's name. bought it and use it occasionally but still just a crest kid. did like botot toothpaste from france. Does the bronner suds up nicely as per off the shelf colgate toothpaste? Curious to know if performance wise it'll be like colgate or that of marvis, the latter of which I do not prefer. (12-24-2018, 05:59 AM)gmtshave Wrote: Does the bronner suds up nicely as per off the shelf colgate toothpaste? Curious to know if performance wise it'll be like colgate or that of marvis, the latter of which I do not prefer. Simple answer is no. It’s less sudsy than the off the shelf toothpastes. However it cleans just as well, tastes a thousand times better, and by the third use, i’d grown accustomed to the reduced suds. Anyway, it’s the brush that does the cleaning, not the Colgate bubbles. Try one tube and you’ll be hooked. i am all in on Dr Bronner. bar soap, liquid soap and toothpaste. great price and nothing better that i've tried.